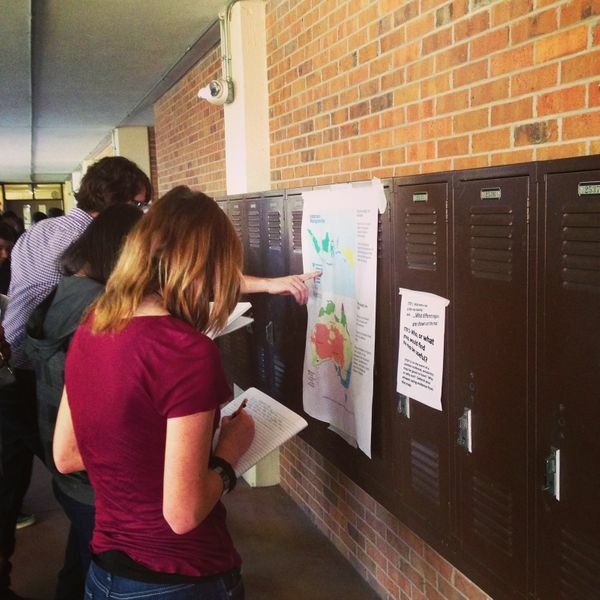 World Geography students work independently in a gallery walk to answer their Zombie Based questions. A theme of region via the use of maps was strongly evident. Step 1: What theme of topic is this map depicting? And what different regions are shown on the map? Step 2: Who, or what group, would find this map to be useful? Step 3: In the event of a zombie outbreak, would this map be good to have? Why or why not? Defend your answer using evidence from the map.